Postfix and Dovecot is one of the good combination for email server. Postfix is a free and open-source mail transfer agent (MTA) that routes and delivers electronic mail, intended as an alternative to the widely used Sendmail MTA. Dovecot is an open source IMAP and POP3 email server for Linux/UNIX-like systems, written with security primarily in mind. Dovecot is an excellent choice for both small and large installations. It's fast, simple to set up, requires no special administration and it uses very little memory. Note: the command work only if you install them using default package command for Ubuntu, e.g. using ‘apt-get install’ or using ‘dpkg -i *.deb’. FOr installation by self compile package, please refer to HOWTO that usually delivered with the source code package. I got series of data ini Microsoft Excel 2010 that have date data, but the date is in the text format. I want to convert the text format from dd/mm/yyyy to mm/dd/yyyy because I need to insert them into database that require date format in sql is in mm/dd/yyyy format. 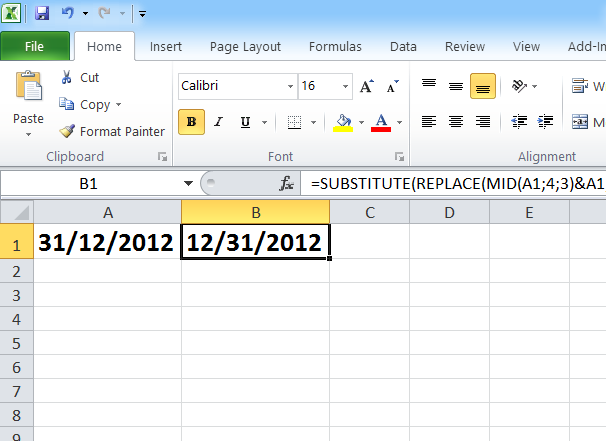 This will convert date in the text format in cell A1 from 31/12/2012 to 12/31/2012 and I can format the result of formula as date. This will not work if the data is already in the date format. In that case, no formula needed, just right click on the cells and format the cells as date. If you're in the US and have a worksheet with dates in UK format then some of these will probably be recognised as dates, but the wrong date, for example, 3th April becomes 4th March and some others, where the day is greater than 12, are not recognised as dates at all, so excel treats these as text. Visitors from Jayapura City (Indonesia) can reach Port Moresby Papua New Guinea by travelling by car with route Jayapura – Wutung by Indonesian Taxi, then cross border RI-PNG, and continue using PNG taxi from Wutung to Vanimo. There are daily regular flights from Vanimo Airport (VAI) to Port Moresby (POM) by Air Niugini (PX). 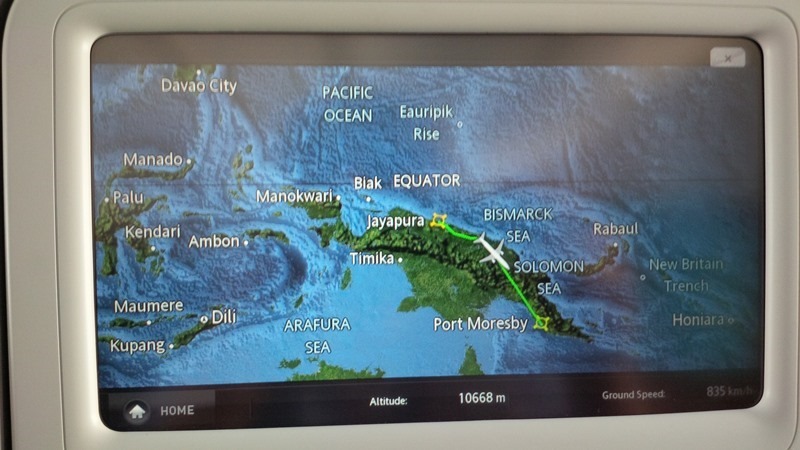 If you want to reach Port Moresby from Jayapura by airplane, the route is very far: Jayapura (DJJ) – Denpasar (DPS) - Port Moresby (POM) or Jayapura (DJJ) – Jakarta (CGK) – Singapore (SIN) - Port Moresby (POM). In 27 June, 1 & 5 July 2014, Garuda Indonesia served direct flight from Sentani Airport (DJJ) to Jacksons International Airport Port Moresby (POM) with flight number GA-6560 (DJJ-POM) and GA-6570 (POM-DJJ) with aircraft type Boeing 737-800NG aircraft registration PK-GNH, PK-GFI, and PK-GMQ. The flight duration took about 1 hour and 45 minutes. This is good news! But, is it a regular flight? Unfortunately no, because this is special chartered flight of Indonesian delegation to attend The 5th Melanesian Festival of Arts and Culture, Papua New Guinea, held on 28th June - 11th July 2014. If you want to take chartered flight of Garuda Indonesia, just go to nearest branch and tell the flight what you need. The cost is about USD 7500 to USD 9000 per hour. 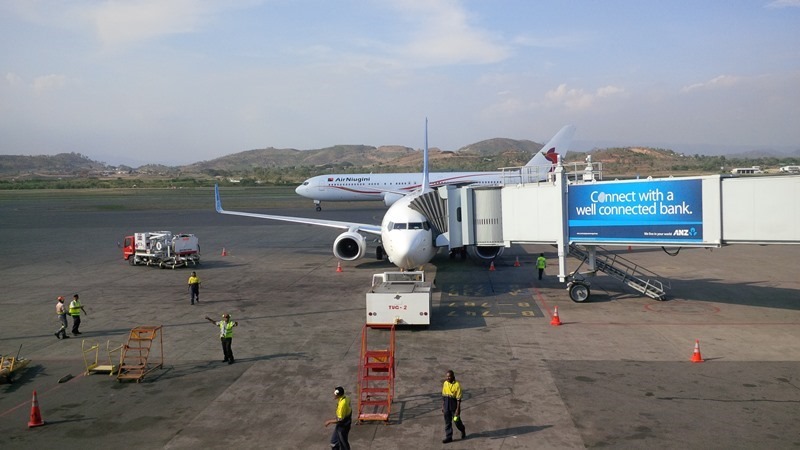 With more than 150 delegates from Papua Province attend the MFAC 2014, chartered flight considered as cheapest way to reach Papua New Guinea, because it cut cost more than 70% of the budget than take regular flight. Why not using another cheaper airline? 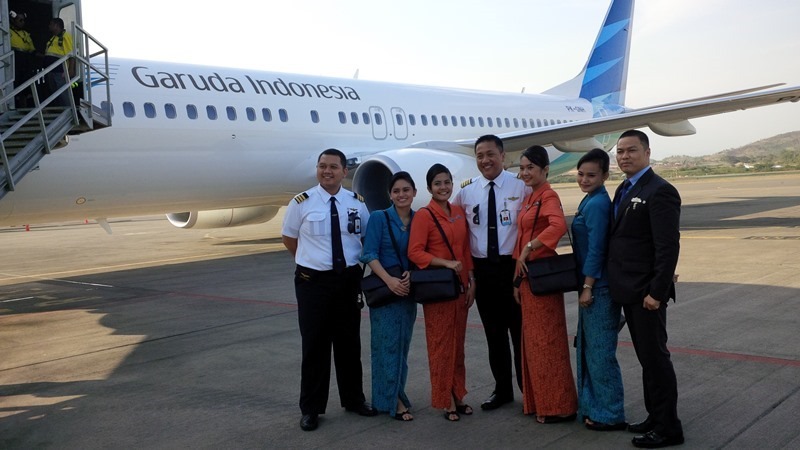 It’s because Garuda Indonesia is flag carrier of Republic Indonesia. And of course, don’t forget to take photo of the crew! For your information, The Melanesian Island countries in the Western Pacific, surrounded by the vast blue Pacific Ocean have Cultural Heritage which is diverse. The Melanesian people's cultural heritage is distinct. It distinguishes them from other people and their cultures. Their Cultural heritage is their identity, strength and can shape their destiny. It is celebrated to enhance mutual understanding, cooperation and appreciation of one another's Arts and Culture in Melanesia. 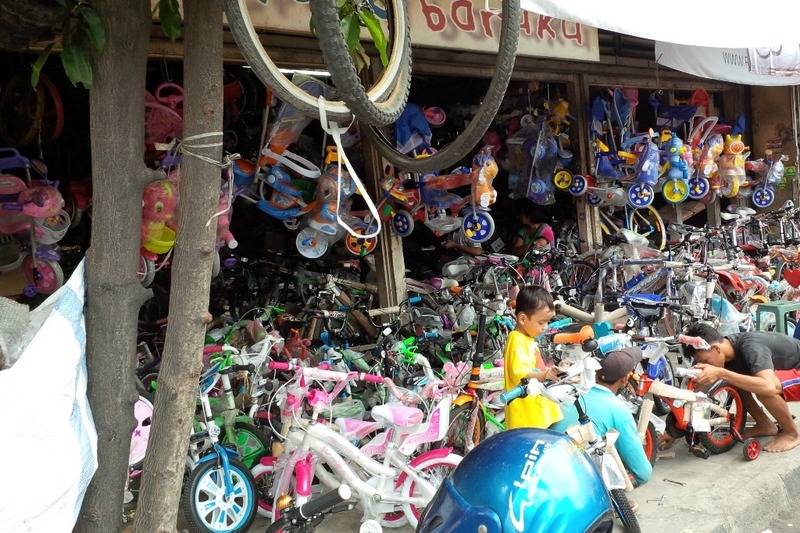 Today we went to Orion, a bicycle shop in Yogyakarta. We want to find suitable bike for Akio, our son. Akio got blue Wim Cycle 16” bike, and look for some product, we want to buy folding bike sold at the shop. After select so many variant, we decided to buy Pacific PIP-2988-5 that made from aluminium alloy with price IDR 1.600.000. I think the bike shop is very legendary, because it run (maybe) since my dad’s childhood. The attendants were helpful and the selection of bikes ensured that we selected the right bike for us. In competition with more modern shop, they still maintain old-style layout and service, but we happy with that, because they have a great selection of both bikes and accessories.